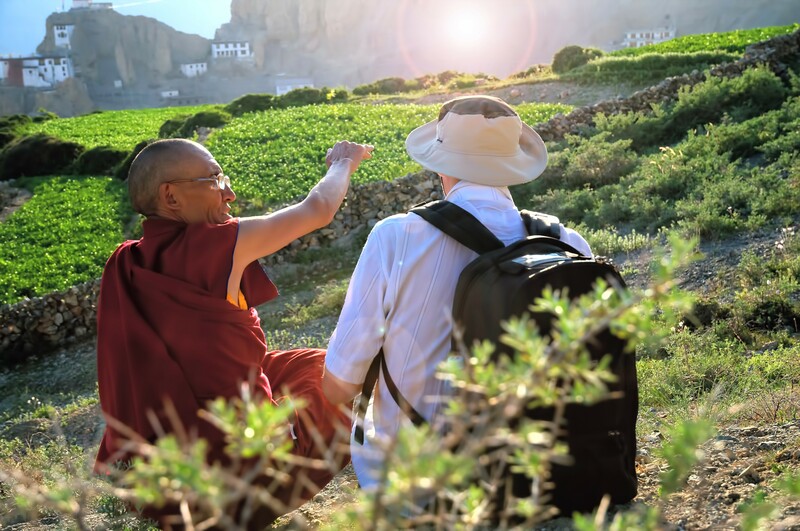 Nestled in the heart of the Himalayas, lies a kingdom of incredible beauty and fascinating culture. 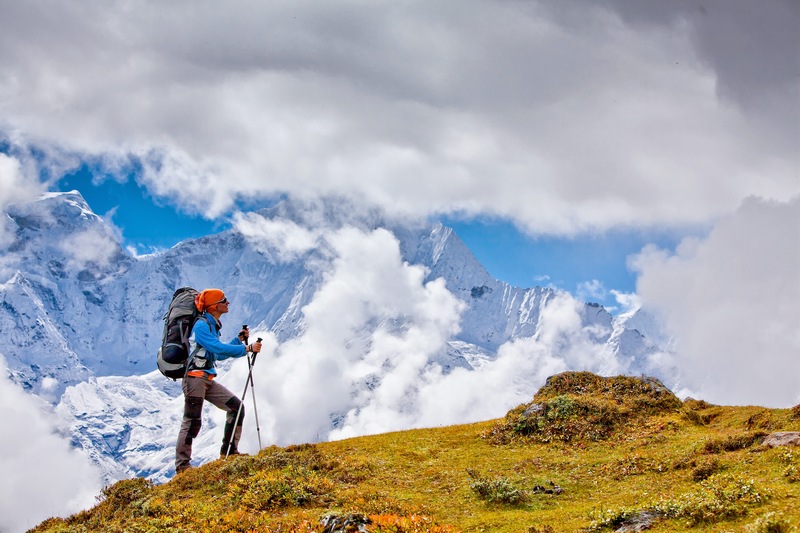 Uncover the hidden gems on your Nepal tour. When The Beatles, Bob Seger, and Cat Stevens stepped into the medieval mists of Nepal, had they expected inspiration that spun magic into melodies such as ’Katmandu’? As the story goes, amid the lofty mountains, past the rambling trails, many a musical legend has sought enlightenment. They came in response to the inexorable draw of the then-popular, alternate hippie culture, in turn leaving an indelible impression on the local culture and especially the rock music that is an intrinsic part of Nepalese expression today. In tribute, Cat Stevens’ ‘Katmandu’ speaks of a metaphoric Eden, and the much-documented visit by The Beatles remain forever entrenched in the ubiquitous guidebooks sold by every corner shop around Durbar Square. That’s Nepal for you. 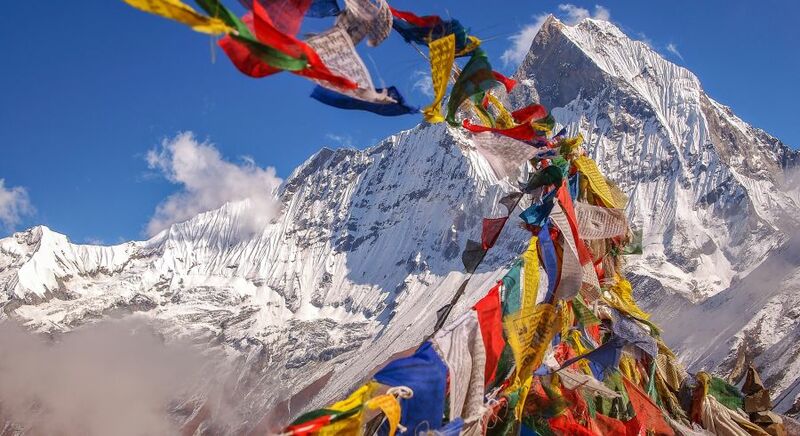 Tucked between Asian behemoths China and India, Nepal is an indomitable mix of the ancient and the modern, a little unique strip of land where time seems to be on pause. It has now been two years since the fateful earthquake that rendered a few thousand people homeless in Kathmandu Valley. Reconstruction work is almost complete, and several of the best cultural delights have been completely restored. 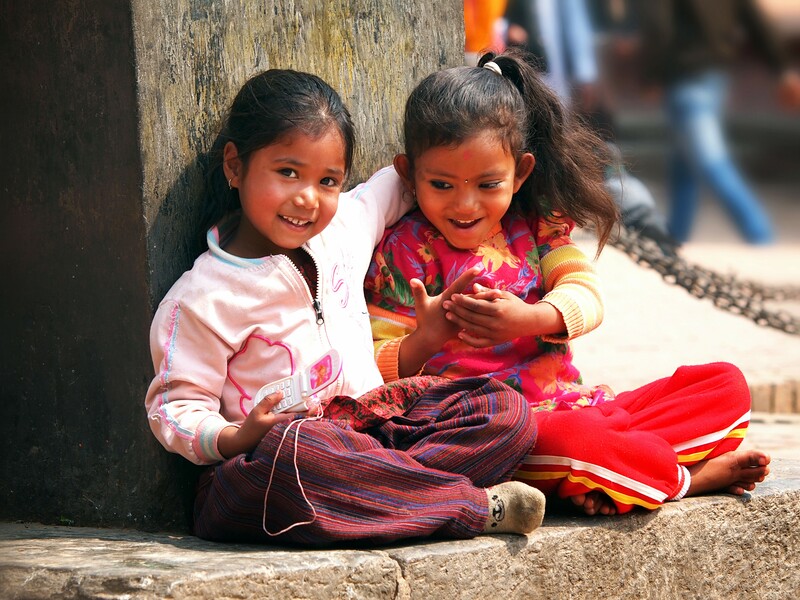 Ask a passing Nepali how things are after the earthquake and he will likely smile and shrug – they are a resilient people and life goes on in the valley. 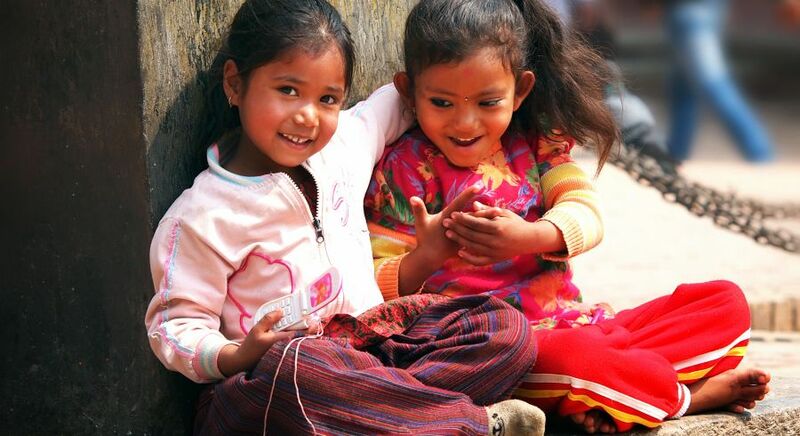 Read more about life after the Nepal earthquake. 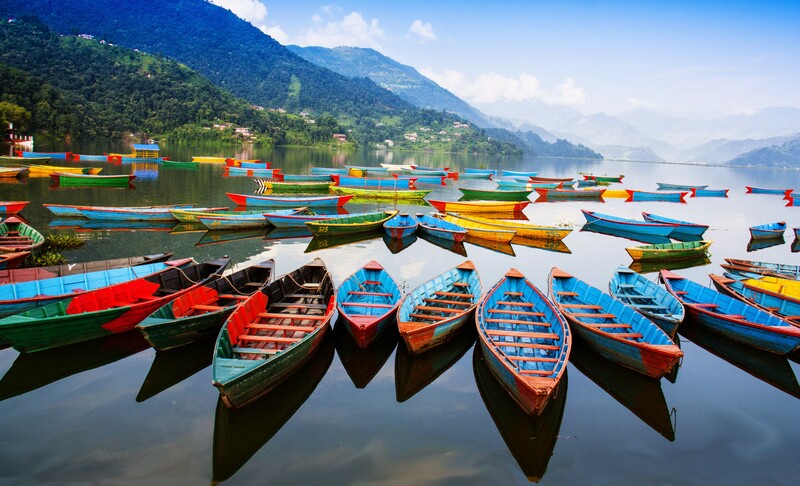 With her incredible mountainscapes, rolling valleys, picturesque villages and welcoming smiles everywhere, Nepal will take your breath away. 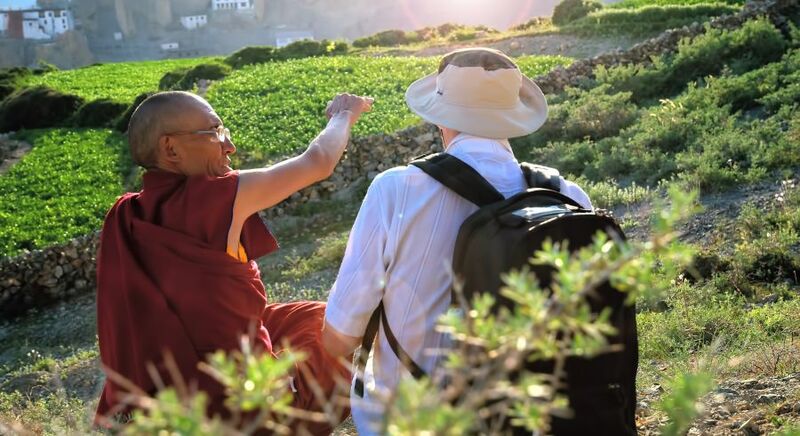 What really makes a visit to this charming mountain kingdom a wondrous experience, are trysts with the culture, heritage and warm people of the country. 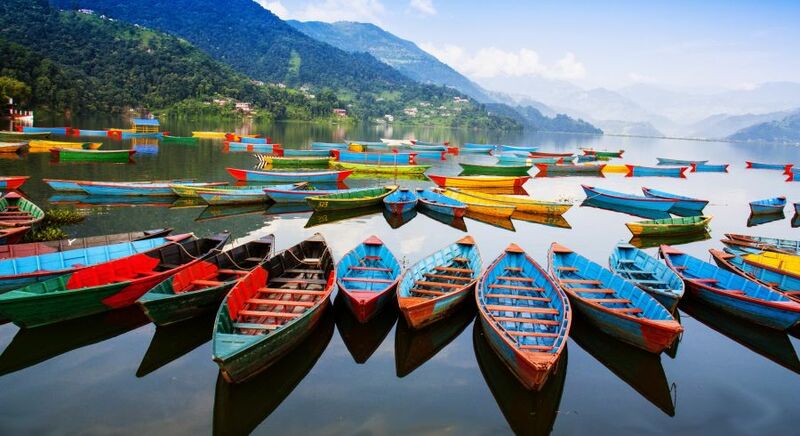 The winding labyrinths of bustling Kathmandu offer sharp contrast to the verdant, sleepy Kathmandu Valley, and ancient temples and shrines receive as much footfall from believers as does the winding trekking trails in the valley. 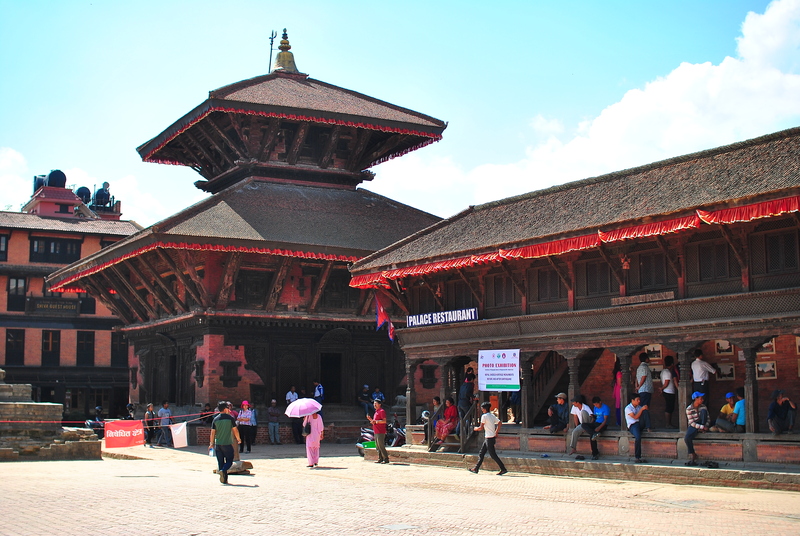 In the heart of the old city, Kathmandu Durbar Square holds sway with its impressive architecture. 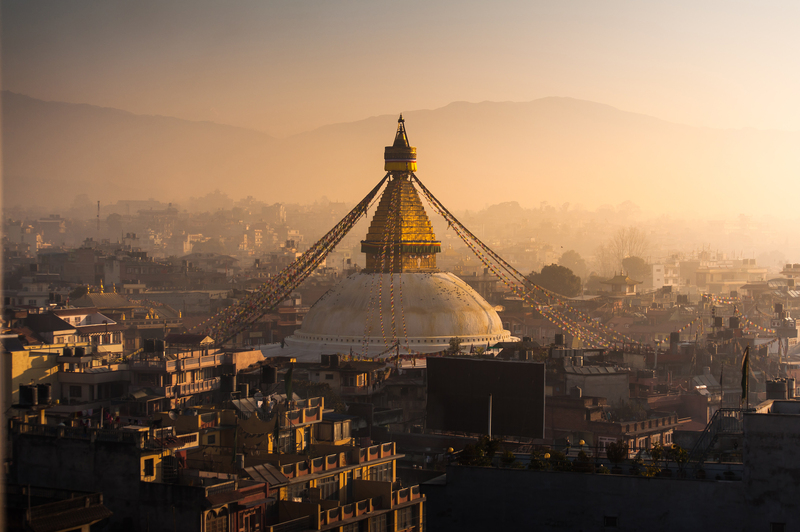 Built in the 17th century, this UNESCO World Heritage site is, in many ways, the essence of Kathmandu – vegetable vendors, souvenir hawkers, flute sellers and passers by, rub shoulders with curious visitors trying to immortalize the sights through their lens. Just a stone’s throw away lies the Temple of the Living Goddess – a testament to Nepal’s worship of young girls as manifestations of the divine female energy. If you’re lucky, you can catch a glimpse of the living goddess through one of the windows at the Temple of the Living Goddess! 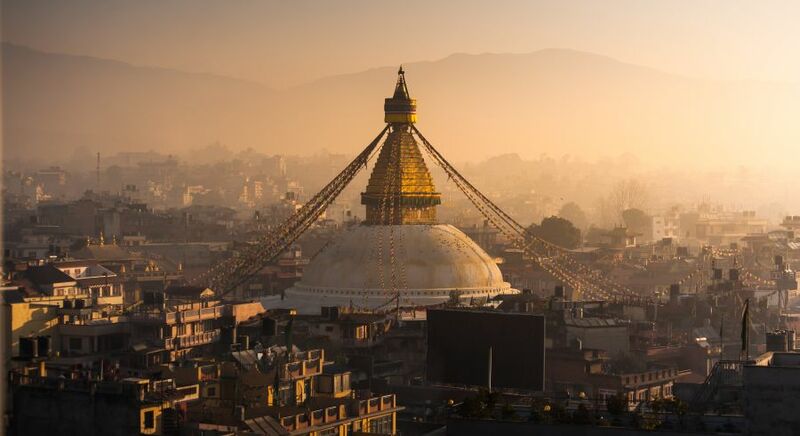 Top Tip: Take a rickshaw ride from Durbar Square to Thamel – the popular center of Kathmandu’s hippie culture, where you will find narrow streets lined with shops selling everything from incense to cured meat! 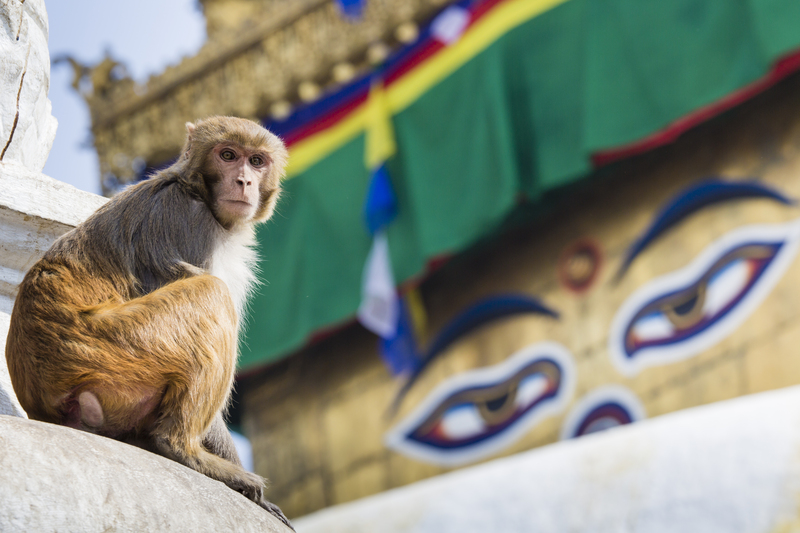 One of the most sacred of Buddhist pilgrimage sites,the 2,500 years old Swayambhunath Temple lies just outside the capital city. 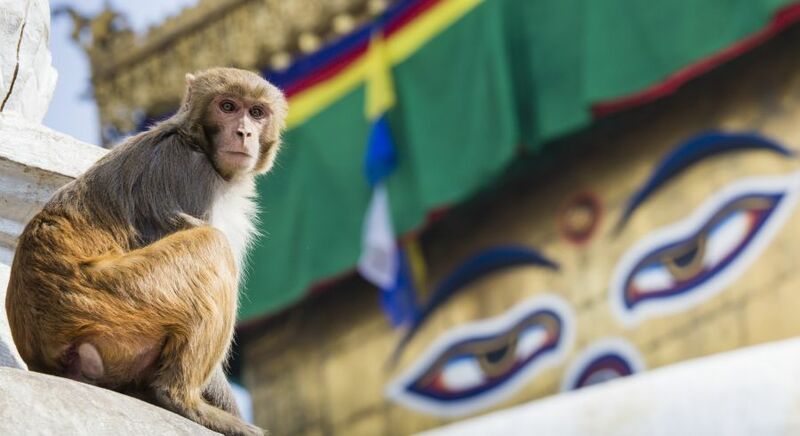 Recently reopened for the public following the earthquake, visitors can view the restoration work in progress or watch the playful holy monkeys go about their daily business! A few kilometers away on the banks of the serene Bagmati River, sits one of the most revered Hindu pilgrimage sites in all of Nepal – the richly-ornamented Pasupatinath. Presided over by the Hindu God Shiva – the ‘destroyer and transformer’ within the Hindu Trinity, the Pasupatinath pagoda receives thousands of visitors from around the world. Only Hindus may be allowed into the inner sanctum but the structure itself is well worth seeing. 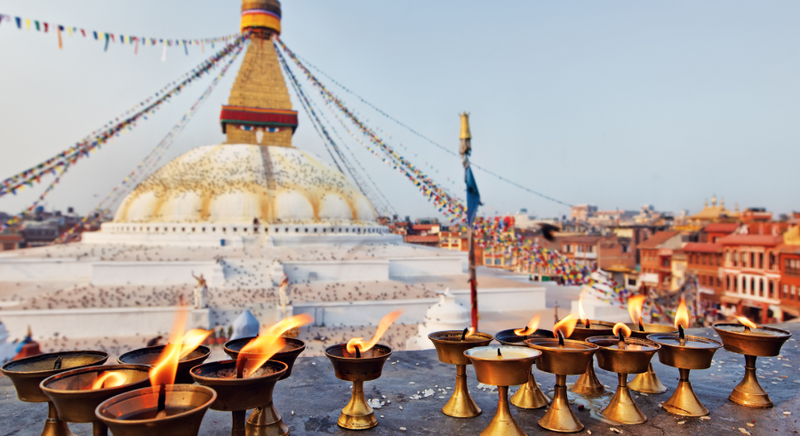 The tall UNESCO World Heritage site of Boudhanath Temple is the center of Nepali Tibetan culture, and one of the largest stupas in Asia! The gilded monument is situated on an ancient trade route from Tibet, and literally keeps an eye out in every direction! The medieval city squares of Patan and Bhaktapur continue to remain cultural powerhouses. Apart from the Durbar Square, golden temple, impressive statues and bustling bazaars in Patan, the star attraction remains the Patan museum. Bhaktapur, or ‘the city of devotees’ on the other hand, showcases some of the finest medieval art from the valley. 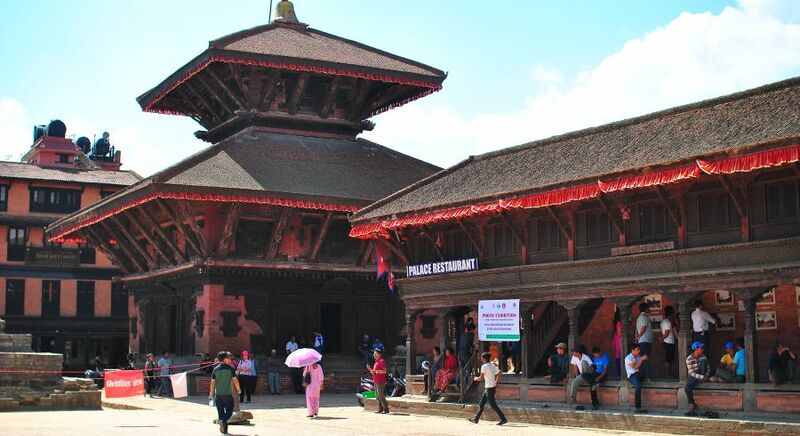 Ancient, imposing and intricately crafted, Bhaktapur is a haven for history and architecture enthusiasts. History and architecture aside, interactions with the local people offer a real glimpse into the simple life and traditions in the valley. The incomparable delight of seeking out authentic traditions of this vibrant, colorful culture is readily available in Bhaktapur. Visit long preserved houses, discover age-old native craftwork and learn of Bhutan’s famous festivals over a traditional meal. 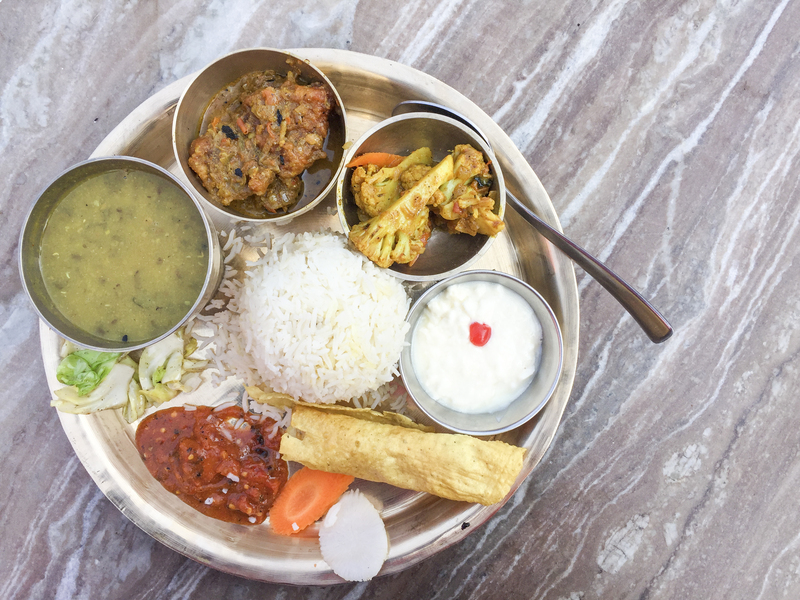 Much is made of Nepal’s cuisine. 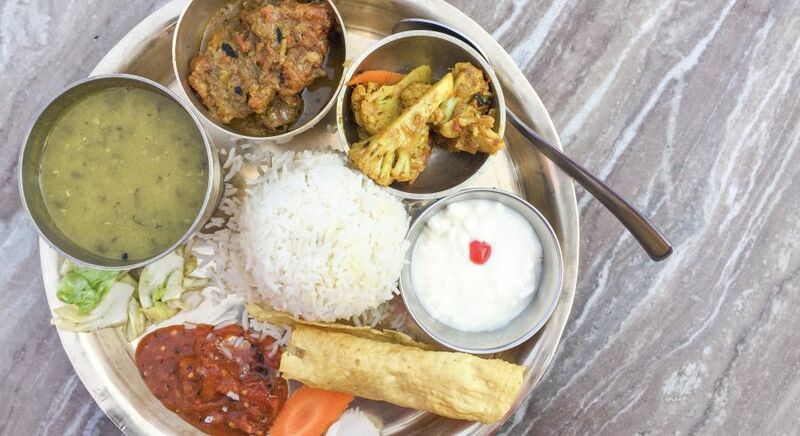 Guests, akin to God in Nepal, are graciously welcomed to partake of homemade delicacies, such as fried fish, special curries and eggs served with a local spirit. 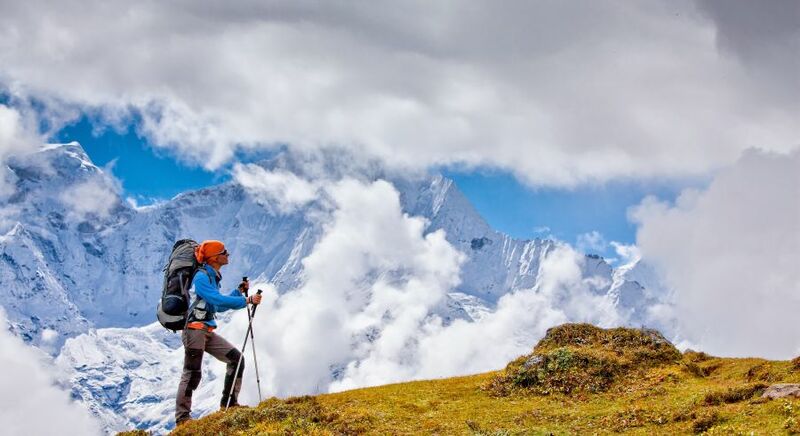 The hour long flight to Mount Everest is not to be missed! Charting through the early rays of the sun, your aircraft affords the best aerial views of the glittering lakes and glaciers at the world’s tallest mountain. The sheer size of this gleaming mountain is astounding! 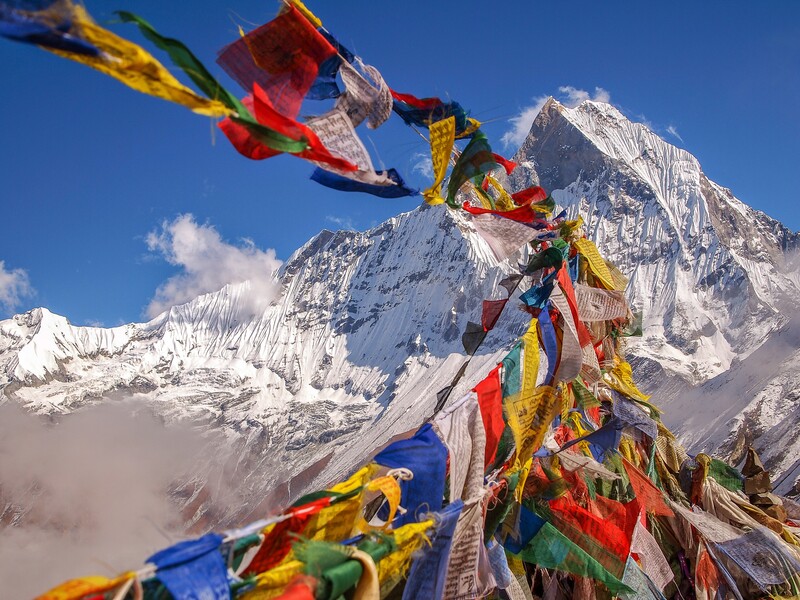 Discover the lofty heights and vibrant culture of this magical Himalayan kingdom on your private and personalized Nepal tour.